In general I thought WWDC was pretty lack luster. To be clear I also think MSBuild and Google I/O were also pretty lack luster. We are in some form of a lull right now in the tech industry. It is apparent Machine Learning is here to stay and there are a few different approaches between the big three right now. Augmented Reality is also here to stay but there needs to be better hardware to the market to make it a reality. The platforms continue to advance though. So what are my take aways from Apple’s presentation? Well My first thought is iOS is stabilizing, watchOS is maturing, tvOS is growing, and macOS is getting more iOS like sprinkles on the top. The one thing Apple truly has over the competition is a unified platform. The seamless ways everything works together is a great selling point. The demos of taking a photo leveraging your iPhone to put a picture into a presentation or document shows how you can leverage your tools together. There really isn’t any way Windows or Google can approach this today due to the scattered nature of their experiences. It was very interesting seeing Apple start off by talking about ARKit 2. I didn’t really expect that out of the gate. I would have expected more talk about other features like Siri Shortcuts or Machine Learning to keep up with the Google Factory. I still have a strong belief that Apple will solve the hardware problem through an accessory glasses that leverages wireless communication to your phone as the brain. We will have to wait and see though. To bad they are not showing any early hardware even yet. I don’t think the right approach is holding an iPad up to use it for AR. Apple’s other big push I thought was note worthy is their continued pressure on being the platform for privacy. Apple can ride this for quite a while. Even their Machine Learning strategy is unique and focused primarily on device. Time will tell if they can continue to push their Machine learning platform. I’m hoping to get some time with it soon to see what it can actually do versus the other platforms. Siri Shortcuts brings some options to the table to really allow App developers the opportunity to create new unique experiences, while putting the power in the hands of the users to do their own automation. I can’t wait to play with that either but I need to get another device to use so I have a primary device that is not running a developer build. The rest of the presentations around animojis and memojis while entertaining don’t seem like something I want to use daily. Even FaceTime updates don’t scream out to me. My best hope now is new hardware later this year for the platform although I don’t think we will see much for Macs only iPad updates. So this week has been full of tech product releases from Microsoft’s Creative Update and Surface Studio to Apple’s MacBook Pro release. I’ve let a few days go by so that I wouldn’t be caught up in the moment toward one product or another. Majority of Microsoft’s event was talking about the creative update. This update comes in the form of some updated apps with the premier one being Paint 3D. Paint 3D is an application which allows users to create art in 3D. I covered this in a previous post. I still believe the play here is to simplify the creation of 3D assets for the holographic platform. 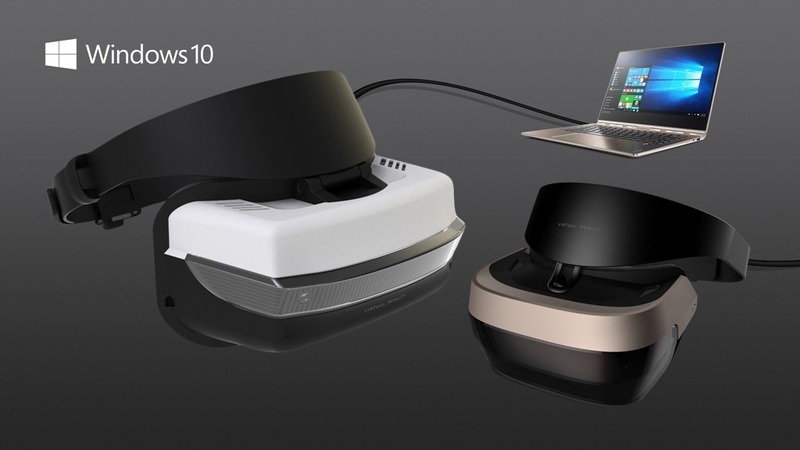 Microsoft also announced some virtual reality headsets from their OEM providers. The prices of these start at $299. There also was a demo of what it may look like in the holographic platform using these headsets. Although I was hoping for a tethered version of the HoloLens at a lower cost this might be a good option still. We still don’t know the minimum specs for the computers needed for the platform but my guess is it is lower than the Oculus and HTC Vive. These headsets do tracking differently than the other headsets on the market. The headset the proposed are doing inside-out tracking vs. outside-in. The Headsets on the market today with room scale utilize cameras placed around the room in stationary locations to track IR markers on the googles or other devices. With inside-out tracking the camera system is typically on the goggles and IR markers are placed in stationary locations. I believe the difference though in Microsoft’s approach is more similar to the HoloLens where it utilizes IR and depth sensors to map the room. I like this approach much better than any VR solution today. Setup would literally be just scan the room with the headset. This has a lot of potential for the future of both VR and AR. Microsoft briefly demoed the HoloLens again showing a creation made in Paint 3D. Another demo showed how looking at a website in Edge could potentially feed you 3D models of real items you could test out in your home to see if you liked them or not. This does show a new way of shopping and that 3D will make its way into our browsers in the future more prolifically then it is today. I was a little upset to not see more information regarding the HoloLens at the event but I see the direction Microsoft is going and it does look like an interesting future. 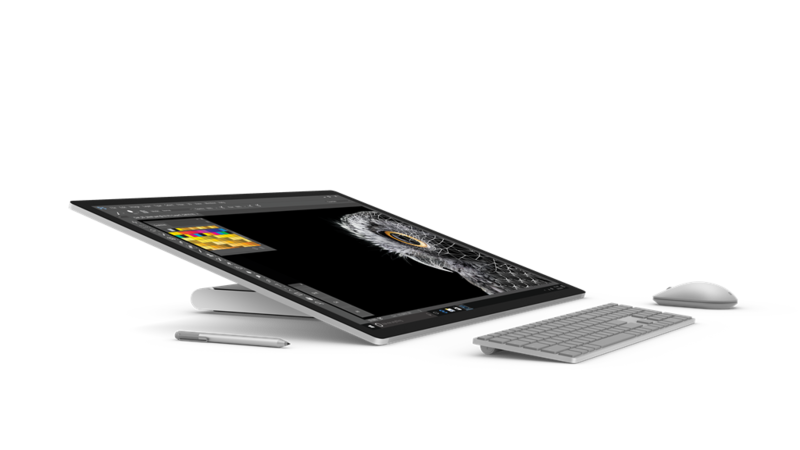 The premier piece of hardware that was displayed during the event was the Surface Studio. This is a 28” all-in-one PC that utilizes the Microsoft Pen and touch to be a massive creative workstations. The hardware looks amazing but comes at a high price point as it is targeted at the creative space. To me the design is a very premium product. This is one I would personally like to own in the future. I occasionally dabble in videography, photography, and 3D creation. The smallest piece of hardware at the event was the Surface Dial. The surface dial shows that Microsoft is looking to innovate. This device allows you to augmented your computing with a physical device. At the end of the day it is a dial which can be setup for different uses in software such as volume control, rotation, and other manipulations. The tricks really come out when paired with the Surface Studio though. When the device is placed on the screen not only does the dial still have a use but you get a contextual menu surrounding the device. I can see this creating a new experience. Imagine if you could have a couple different Surface Dials programmed for your creative suite to do different interactions. You would grab the one you need for a color palette and place it on the screen. You could grab one for manipulation of objects. This could be an interesting play if Microsoft works that into the product. Today though I believe you can only have one at a time. So on to Apple’s event. 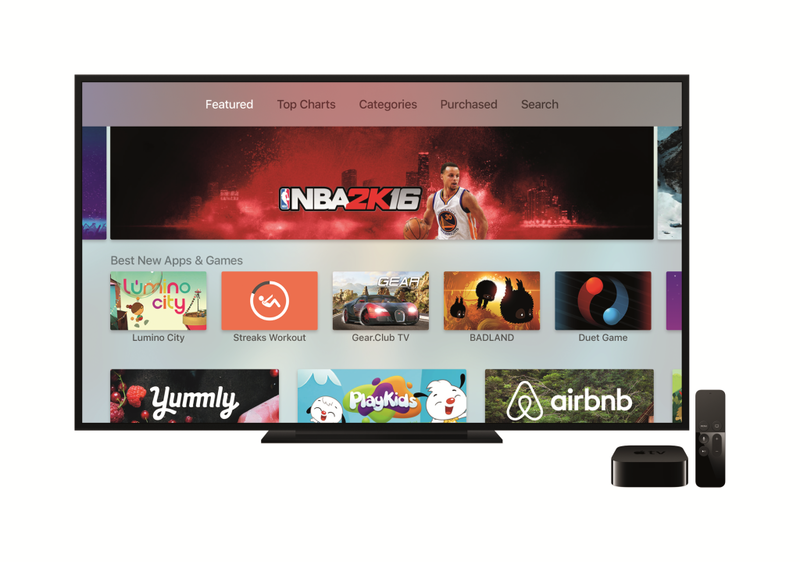 Apple started out their event talking to changes to Apple TV. The specific focus was around video content both on-demand as well as live. What Apple has done is created a new app called suspiciously TV. Wait I’m going to launch the TV App on my Apple TV, or is it I’m going to my Apple TV to launch TV… Confusing as this is the basic functionality is some of your content applications are curated into one UI. No more hunting for your next show that could be in Hulu, or HBO Go, or the Showtime App. Interestingly Netflix was no where in their demo and my guess is people have to sign up or develop specifically for it. More details to come on that front. Apple also had Twitter as a guest showing off a new version of their Live video platform. Besides Twitters approach Apple also showed how you could jump to live events via voice. All in all not that impressed with where Apple TV is at this moment but in general I’m not happy where any Smart TV or other TV based device is at. 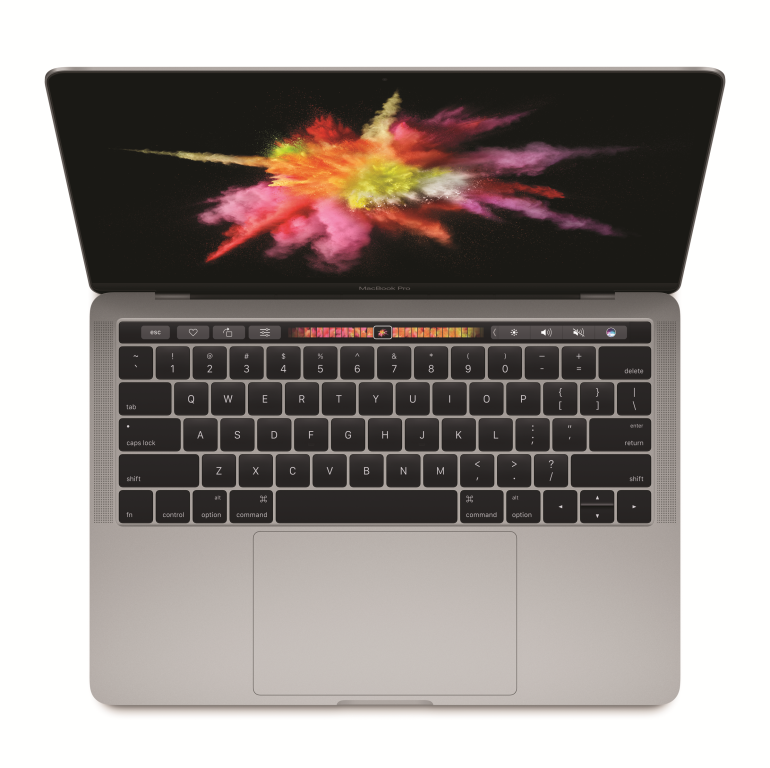 The large part of Apple’s announcement was around their flagship laptops the MacBook Pro line-up. I’ll talk about their new control surface later but overall on the hardware it was bump in the CPU, bump in the GPU, Lower profile keyboard, USB-C everywhere, and goodbye every other port except the headphone jack. We are about to live in a dongle apocalypse until the industry switches over to USB-C. The one nice thing is that any of the ports can be used for charging. I’m not certain I like the fact that MagSafe has been abandoned. So let’s talk about that Touch Bar shall we. Apple’s biggest innovation is putting a bit of iPad in your keyboard? Apple removed the function keys from the top of the keyboard and replaced it with a retina touch display. They showed off a few integrations with applications and the platform which shows how it morphs into different control surfaces based on context. I think there is potential here but it will take time for developers to fully figure out the right interactions for it. I can see how it could be useful to expose some controls when you are in full screen mode with some applications but I’m lacking a good understanding of how it will improve my life. It actually forces me to look at my keyboard area which I haven’t looked at in years. Before I bust out my final thoughts on either vendor my initial though is that it is good to see Microsoft and Apple going up against each other at some levels. We need healthy competition to push the envelope. The fact that both of these vendors are pushing the price point up tells us something about the computer industry. It is officially niche. The people that use full functioning PCs is shrinking in the consumer space. Enterprise customers definitely will continue with PCs for some time still as the tablet and mobile market does not meet all the needs of productivity in their current incarnation. The consumer market on the other hand can live on their Android and iOS devices. The folks that need desktop or even laptop style devices are creatives, engineers, and power users only. If I was going to declare a winner of Innovation I would say Microsoft won the battle. I see more promise in their direction at this point of where the future may be. Between Holographic computing and creative solutions to fill the world with content the hardware they are bringing in the PC market seems top notch. As for Apple I think they own the mobile space with Google on their heels now. Microsoft’s only strategy in mobile is to deploy their applications and cloud services which gives them a piece of that pie. We are still in a very big transition in the technology space. Only time will tell which group will own the new future of compute in our homes and in hour hands. So recently Tim Cook has spoken a lot about augmented reality and that Apple is heavily investing in it. Based on their new iPhone and some of the technology I have some ideas of how they potentially may approach AR. What if Apples approach is not a fully encompassed device like Microsoft HoloLens but rather just a visor with sensors that talks to your iPhone as the central compute. How you say? 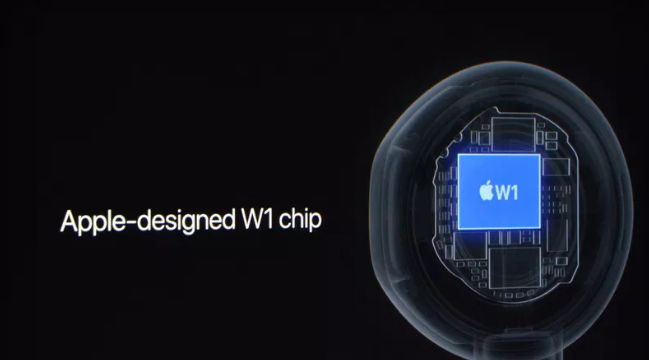 Well they did launch a new wireless chip they designed. It may be feasible that they have some new secret sauce that would allow you to carry a light weight visor to experience augmented reality. I for one would love to have a light weight headset. One of the challenges with adding compute power to the headset like the Microsoft Hololens is that you are limited by battery as far as how long it can last as well as size. I think it might be feasible to have a light weight device that only does sensor input and display. This paired with your iPhone as the compute may be a very interesting combination. What about power on the go? 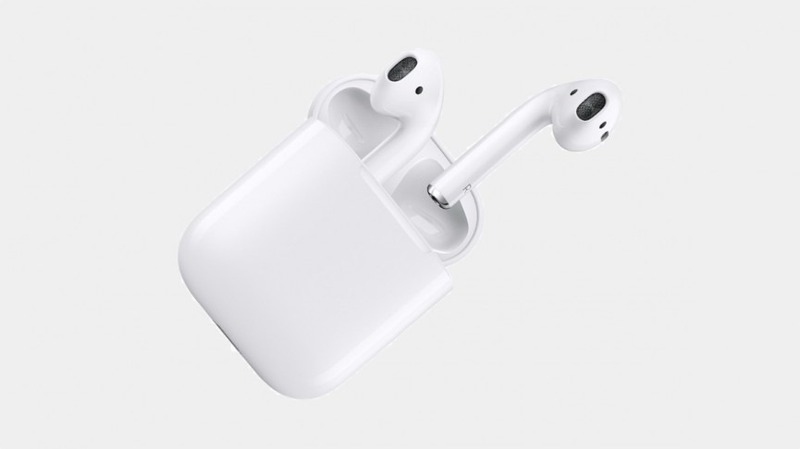 What if the visor had a case that charged the visors when you put them away like the Apple Airpods? Again interesting concept. Maybe everything that is being done now is just steps to a AR visor from Apple. I hope that some of my thoughts are true. I really want to see Augmented Reality mainstream. Think VR is just a fad? To me it is clear that VR (Virtual Reality) is here to stay and AR (Augmented Reality)/MR (Mixed Reality) is just around the corner. More and more companies are jumping into the mix. GoPro is releasing a rig and software to support sperical video content. Adobe is releasing capabilities to support VR editing and production. It seems every day I’m seeing some new article about either content or technology to support VR/AR/MR. Magic Leap has also shown new content although no person has seen any form of hardware from them at this point they at least show promise for AR/VR similar to Microsoft’s HoloLens. It is only a matter of time until we better understand where VR/AR/MR truly will go. Many new companies are forming around this space as you read this. 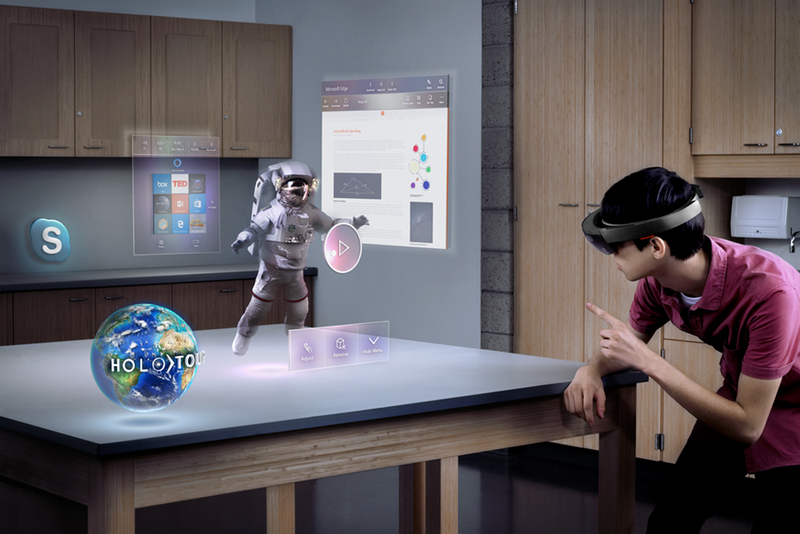 I myself am looking into the potential and can’t wait to get a HoloLens to play around with some of my ideas. It is a new era for content consumption as well as interactions. I can’t wait to see where this goes. So this evening I got to experience the HoloLens for the first time. My first thought before putting it on is there is no way this is as good as they have showed. I have to say I’ve been surprised completely. So much so that I literally want to drop $3,000.00 on a dev kit for myself to get on this bandwagon. I was able to play with some of the examples it has. The way it scans a room and remembers where I put 3D objects is amazing. I even took it to a bar and used it in low light and it worked great. I see potential in this for sure. Being an owner of the Oculus Rift and now trying this. The fact that there are no wires is impressive. I do see real world uses for this kind of device and would love to be at the forefront of their creation. Thanks Lance for letting me take it for a spin.